Every adult woman who applies to The American Women's College and the One Day A Week Saturday Program is encouraged to apply for financial aid. Even if you have children applying for college financial aid or receiving it already, you may also qualify for a financial aid award. It’s important to understand different types of financial aid awards. 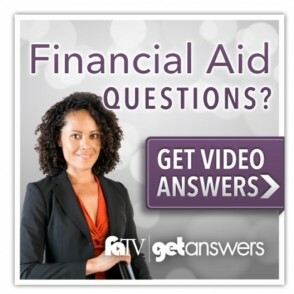 Typical financial aid awards include a combination of student loans, grants and scholarships. Loans require you to pay them back with interest; grant and scholarship monies are yours to keep. Our admissions counselors and financial aid staff are skilled at helping you understand the financial aid process and your choices. Applying for financial aid is as easy as 1 – 2 – 3. We invite you to contact us at any time with your questions about tuition cost and financial aid. There are additional forms of financial support you should know about as well. Ask your employer whether they offer full or partial tuition reimbursement. If such an option exists, this can substantially reduce the amount of financial aid you need to pay for your education. Learn more about employer tuition reimbursement. If you or a spouse is an active or retired military service member, you qualify for our reduced tuition cost. Find out more about our military tuition discount.